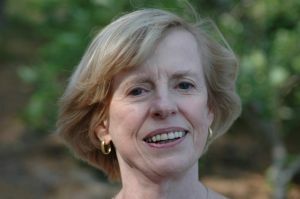 Martha Collins is the author of White Papers (Pittsburgh, 2012), as well as the book-length poem Blue Front (Graywolf, 2006), which won an Anisfield-Wolf Award and was chosen as one of “25 Books to Remember from 2006” by the New York Public Library. Collins has also published four earlier collections of poems and two collections of co-translated Vietnamese poetry. Her other awards include fellowships from the NEA, the Bunting Institute, the Witter Bynner Foundation, and the Ingram Merrill Foundation, as well as three Pushcart Prizes and a Lannan Foundation residency fellowship. Founder of the Creative Writing Program at UMass-Boston, she served as Pauline Delaney Professor of Creative Writing at Oberlin College until 2007, and is currently editor-at-large for FIELD magazine and one of the editors of the Oberlin College Press.